I was thinking of ordering one or two of the Clairefontaine Clairing notebooks until I saw the Myndology notebooks and ordered two of them. I’ve also recently bought two “Whitelines” notebooks. They are very cool. I’ve used both the Clairing and the Myndology notebooks and I like them both. We hope you enjoy Myndology! I also have a small Whitelines notebook and I like the grey paper more than I thought I would. Thanks so much! lines with margin. 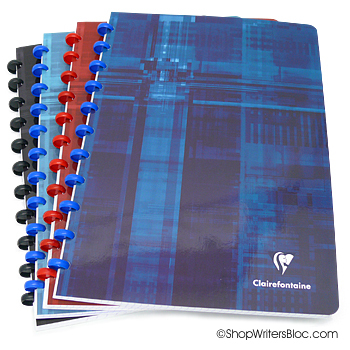 They can be found on Clairefontaine’s French website, the catalogue, page 41. 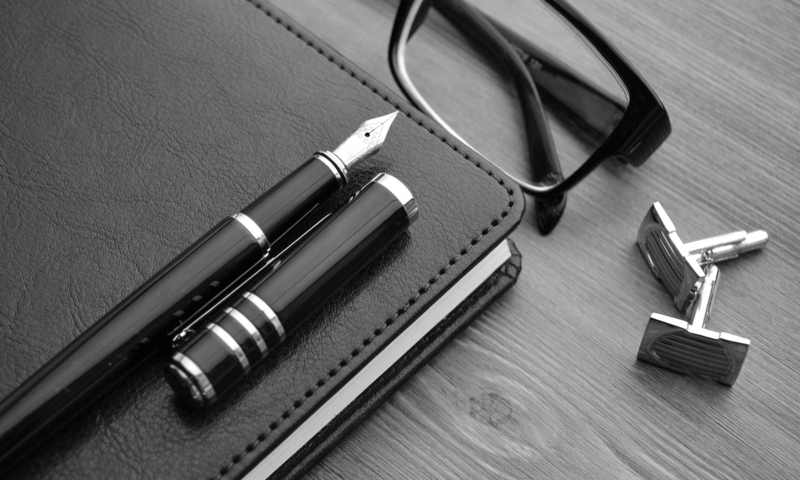 We are looking to purchase notebooks that we can refill with our recycled paper. Are we able to do that with these books? Also how hard is the Cover? We would like to be able to flip the cover to the back and use it as a hard surface to write on our laps. Please advise on these. Thank you. Hi! I’m definitely considering purchasing one of these for school – they look awesome! 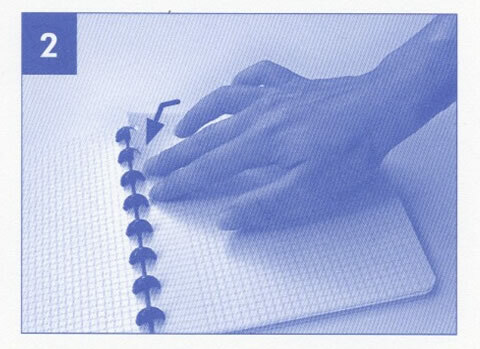 I love Clairefontaine paper. It is kind of an investment for a notebook, so I’d love to be able to refill it when I use up all the pages. Are refills are available from Clairefontaine? 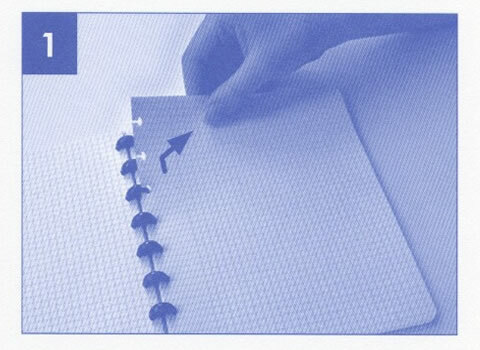 Alternatively, do you know if maybe the Staples Arc hole punch is compatible and does Clairefontaine make A4 size lined loose sheets I could use to refill the notebook? Thanks so much! 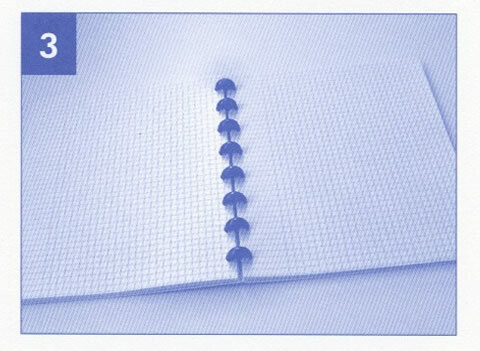 Another option would be to use Myndology disc bound notebooks since they make several different kinds of refills. We haven’t tried using the Arc or Circa punches to make refills for the Koverbook – it’s possible that they might work. 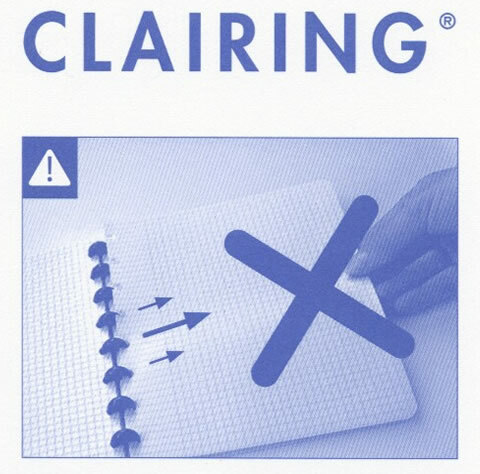 Clairefontaine does make A4 size lined loose sheets, but they have hole punches in them so they might not work as refills.